Experimental work by a Hebrew University researcher involving stimulation of a cannabinoid receptor in the immune system has been shown to hold promise for the treatment of many neurological, inflammatory and other illnesses. Cannabinoids are organic substances found in the cannabis (or marijuana) plant. For her groundbreaking work, Dr. Lital Magid has been named one of the winners this year of a Kaye Innovation Award at the Hebrew University. 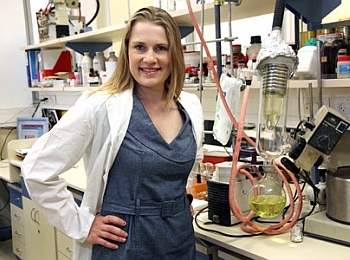 Magid, a young immigrant from Russia and a registered nurse, earned her Ph.D. in medicinal chemistry at the Hebrew University School of Pharmacy, working under Prof. Emeritus Raphael Mechoulam, a world renowned expert in the medicinal usages of cannnabis. Two types of cannabinoid receptors, CB1 and CB2, have been identified in mammals. CB1 receptor is distributed in the central nervous system (CNS), activation of which has been found to induce the familiar marijuana-related psychotropic (behavioral) effects, whereas selective activation of the CB2 receptor, which is mainly expressed in the peripheral immune system, is devoid of psychoactivity. receptor in a multitude of pathological conditions, ranging from neurodegenerative disorders and inflammatory pain to atherosclerosis, cerebral injury and liver inflammation and fibrosis, to mention just a few. Magid designed and synthesized novel, cannabinoid-like chemical compounds, which were able to bind and activate the human CB2 receptor. The result was inhibition of pro-inflammatory activity, which in turn creates conditions for easing pain and promoting healing. A treatment with the selected novel compounds led to a significant improvement in the neurobehavioral recovery following traumatic brain injury (TBI) in mice as early as 48 hours after the injury and had a significant impact on brain tissue damage repair, as verified by MRI examination. 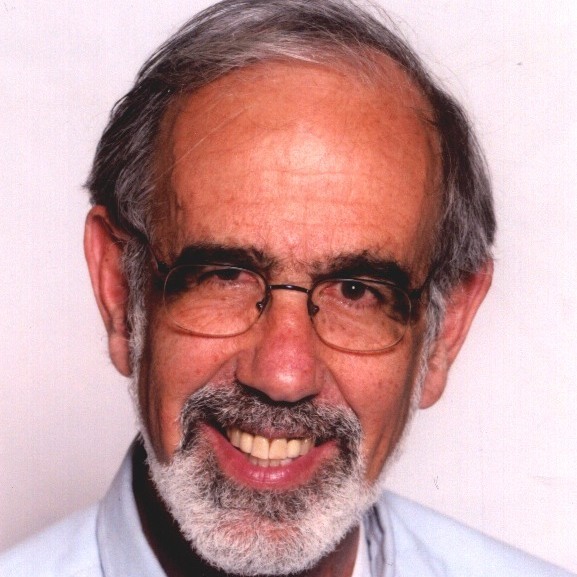 The novel compounds developed in Magid’s work represent promising agents for further research and development of drugs to treat inflammation and brain injury. The invention was patented by Yissum, the Technology Transfer Company of the Hebrew University of Jerusalem, and recently licensed to a big pharmaceutical company. Magid received one of the Kaye Innovation Awards, presented on June 13 at the Hebrew University Board of Governors meeting. The Kaye Awards have been given annually since 1994. Isaac Kaye of England, a prominent industrialist in the pharmaceutical industry, established the awards to encourage faculty, staff and students of the Hebrew University to develop innovative methods and inventions with good commercial potential which will benefit the university and society.